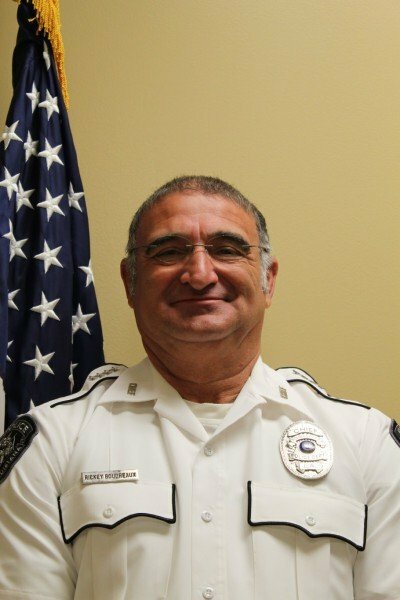 Chief Rickey Boudreaux is a 22 year Law Enforcement professional that serves as the Chief of Police for the City of Youngsville. Chief Boudreaux started his career with the Lafayette Parish Sheriff Office in 1994. He began as a correctional officer and served in many capacities such as patrolman, Narcotics agent, patrol supervisor, narcotics supervisor and Special operations supervisor. He then left the Lafayette Sheriff office in 2008 and was employed by the Iberia Parish Sheriff Office where he began as a patrolman and then was promoted to patrol supervisor. Chief Boudreaux then was selected as a special operations Lieutenant for a short period of time until he was promoted to the rank of Captain, where he was in charge of a 158 person division which had 14 different sections. In November of 2014 he was elected Chief of Police where he has served since that time. The Youngsville Police Department is a 21 man department that continues to grow each and every year. Chief Boudreaux is a 15 year resident of the City of Youngsville where he has been tasked with protecting Louisiana’s fastest growing city. He proudly serves the citizens of Youngsville and continues to maintain the growth of the Department with the growth of this City. The Department has doubled in size since his election and has upgraded in technology, equipment and working capabilities.